A love of his neighbourhood has always kept Preston Pouteaux busy. He is a Beekeeper, Pastor, columnist, and now an award-winning author. Pouteaux’s first book, The Bees of Rainbow Falls, was just awarded the 2018 Word Guild Award in the non-fiction category. “It is so encouraging to have this book recognized,” said Pouteaux. The Word Guild is the highest literary award given to Christian authors in Canada. The continuing success of The Bees of Rainbow Falls has astounded Pouteaux, even before he won the award. “I wrote the original with the expectation of merely printing off some copies at Staples for a few friends in Chestermere,” he said. What started out as a bit of a passion project for Pouteaux has found an audience both in Chestermere and throughout Canada. “My publisher tells me my book is their best selling publication and I’m pleased that it has done as well as it has,” he said. The Bees of Rainbow Falls is a guidebook of sorts detailing how to create beautiful and caring neighbourhoods. “[It’s] a story about Chestermere but it’s a universal story that anybody who lives in a neighbourhood can learn how to care for their neighbourhood,” said Pouteaux. Readers are taken through Pouteaux’s journey of discovery of his neighbourhood in Rainbow Falls as he became an urban beekeeper. “It is a book that kind of tracks with my own journey as somebody who kind of discovered his neighbourhood through the lens of a beekeeper,” he said. In giving his book this year’s award, Pouteaux believes that the judges were recognizing the importance of relationships in neighbourhoods. “I think it recognizes that neighbourhoods are so important and continues to advance a conversation that is close to my heart,” he said. Pouteaux found out that his book had been short listed for the award back in May. He said that there is a lot of competition for these awards. 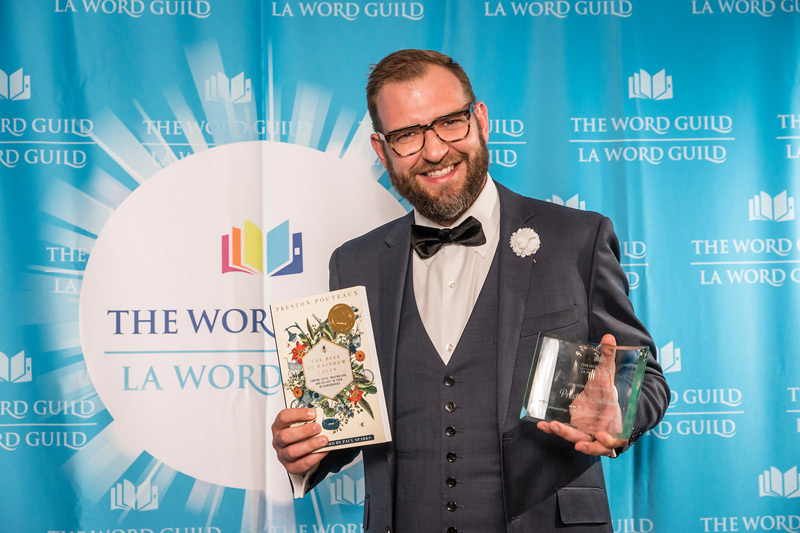 “Many authors submit their books to the Word Guild for consideration, even to be short listed for an award is an honour,” he said. Pouteaux flew out to Ontario on June 15 to attend the awards gala where he received the award. “The awards night was a gala event held in Toronto and gathered together a wide array of writers and thinkers from across Canada. It was a spectacular evening with some amazing people,” he said. A highlight for him was when he found out that one of his categories judges was Canadian broadcaster and author Michael Coren. “He contacted me later saying that it was ‘a fine book, all the judges agree on it,’ nothing is more encouraging for a new author than that,” said Pouteaux. “I love to write and when my first full-length book received these accolades from established Canadian authors, it certainly gave me courage to continue writing,” he said. In addition to his novel, Pouteaux writes a weekly column for the Anchor, Into the Neighbourhood. 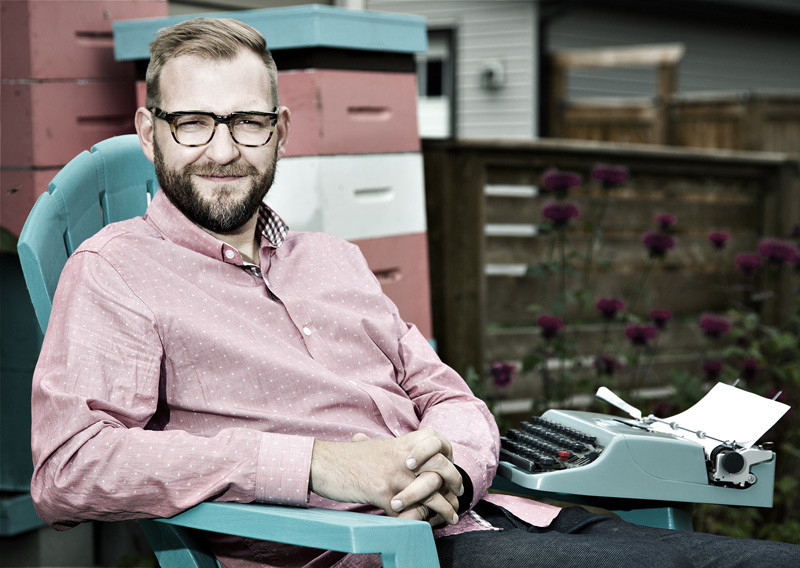 “I enjoy writing for the Chestermere Anchor and deeply appreciate the way writing shapes new conversations,” he said.